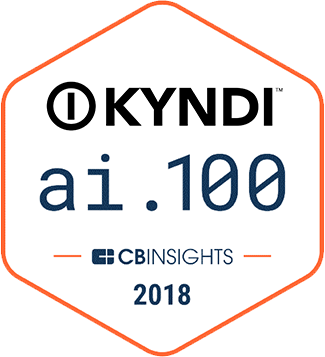 Kyndi is building the world’s first Explainable AI™ platform. Explainability is especially important in regulated sectors such as government, financial services, and healthcare where organizations are required to explain the reason for any decision. Kyndi Founder and CEO Ryan Welsh recently spoke with Kannan Srinivasan of East West Bank about leveraging artificial intelligence technologies to analyze data in financial services. Ryan Welsh: Welcome, Kannan. It’s a pleasure to be speaking with you today. Would you mind providing us with a bit of background on yourself and your current role at East West Bank? Kannan Srinivasan: Of course. My name is Kannan Srinivasan. I currently lead the Enterprise Project Management Office (EPMO) and a couple of key initiatives for East West Bank. I like to consider myself as a specialist in delivering strategy through execution. My background is in technology, FinTech and in planning and delivering large scale initiatives. I started a couple of decades ago as a developer and entrepreneur providing solutions using natural language processing (NLP) and WAP/WXML and have gone through various roles in technology and management. RW: What are one or two use cases where you think the ability to analyze unstructured data is critical to financial services? KS: With the levels of NLP and search capabilities available these days, it’s hard to categorize anything as unstructured data. For the purposes of our discussion, I am defining this as the ability to look into and make sense of all data silos (internal/external, online/offline, current/past) created during various stages of customer interaction. The ability to analyze and interpret the data gathered with outcomes of a specific decision would provide phenomenal insights. RW: What kind of answers could this analysis provide? KS: I am looking for a greater understanding of the context in which any decision gets made and the results of those decisions over a period of time. For example: A customer’s decision to look for a loan or a venture investment based on the backdrop of their revenue, lifecycle stage of the organization against the economic climate, type of collateral and their competitor’s performance. Additionally, tracking the performance after securing a loan or investment round against all those elements will make the context for a decision richer. RW: What kind of a business impact would result in having this information? KS: I believe it will help immensely in a couple of areas and provide value to all the parties involved. Understanding the risk leads to reliable and meaningful quantification of risk associated with any transaction. The information will also provide a deep awareness of client profiles and their needs. RW: In your opinion, what are the biggest challenges for organizations who are thinking about addressing these types of issues? KS: Organizations are getting squeezed on multiple fronts. The biggest contenders for any new investments are well publicized and documented existing problems. Also, it is challenging to get appropriate support to frame the problem, articulate a solution and to create a business case with measurable outcomes. There are no products in the market that organizations can refer to. The journey to better understand the data becomes a challenging one. RW: What is your vision for how any financial services organization will change in the next 2-3 years with this type of capability? KS: As we discussed earlier, the capability to understand the context of a decision (and its results) will lead to unique awareness levels and clarity. This will help to manage the risks much better and to define the product and services suiting target client markets. I am sure new products will emerge to address specific client segments with this capability.